With 20 films in the MCU, it’s natural that some Marvel movies are a bit less essential than others. That’s not going to be the case for Ant-Man and the Wasp, however, for a variety of reasons. The sequel to 2015’s Ant-Man will be an important MCU milestone that helps drive the overall story forward from Infinity War to Avengers 4 while also offering several aspects that are uniquely its own. In a big-picture sense, Ant-Man and the Wasp will be huge as it explores the smallest part of the MCU: the Quantum Realm. 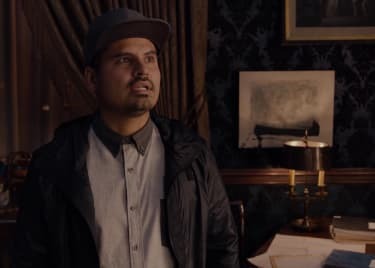 This space is a subatomic realm that, in the MCU acts as an alternate dimension. The laws of physical space that govern us don’t apply in this part of the universe. Space and time are effectively rewritten, which means there’s a chance that characters in that space could avoid a cataclysm out in the normal physical realm – like the actions of Thanos at the end of Infinity War. A few people in the MCU can access this space. Doctor Strange can, as can anyone with access to the Pym Particles that allow Ant-Man and the Wasp to change size. Ghost, the new character in this sequel, can likely travel through the realm, and we don’t yet know how her actions will affect the MCU going forward. Regardless, This realm will almost certainly end up being one of the keys to defeating Thanos. But Ant-Man and the Wasp is, as the film’s name implies, not always about the big picture. There’s the pleasure of seeing Michelle Pfeiffer in her first superhero movie role. She plays Janet van Dyne, who was married to Michael Douglas’s character Hank Pym before disappearing into the Quantum Realm years ago. We know Janet is found thanks to Pfeiffer’s casting, but we don’t know precisely how she’ll fit into the story beyond that. 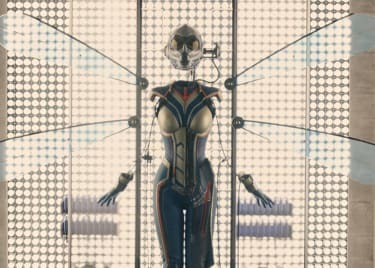 Then there’s the expanded role for Evangeline Lilly’s character Hope, who goes into battle as the Wasp. We’ve waited years to see Lilly fight, and trailers for the film suggest she could be an incredible powerhouse. Lilly is also a strong presence on film, and developing her character to the point where she can have a more significant role in the MCU going forward represents a big step for Marvel’s roster. Ghost, the new character played by Hannah John-Kamen, is also a potentially huge development for Marvel. She steals Pym tech (just like Scott Lang did in the first film) and is therefore able to phase through objects. In Marvel’s comics, Ghost ends up as part of the Thunderbolts, a team of characters that fans have theorized could be part of the future of the MCU. 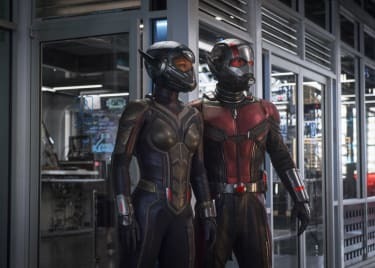 Finally, there’s also the fact that Ant-Man and the Wasp was entirely developed by director Peyton Reed. 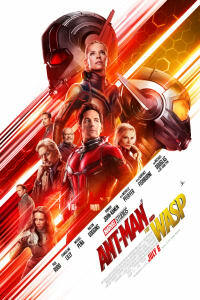 The first film was the product of a decade of development by Edgar Wright, who left the project not long before Ant-Man was filmed. Peyton Reed stepped in to direct, but that movie wasn’t entirely his. This new one is, and we’re excited to see how it plays. With all these elements in play – new actors playing significant characters, the exploration of a massively important dimension, and possibly the key to defeating Thanos in Avengers 4, Ant-Man and the Wasp could be several milestones for the MCU wrapped into one movie. Based on the trailers, it also looks like a great time at the movies.